The month of August is known for last minute summer fun, back-to-school shopping and preparation, as well as finishing up on home projects before the turning of the seasons. With the 'tax-free' weekend coming upon us, you'll want to be prepared to fill out your shopping list accordingly to make the most of the savings that the month of August is known for. Back again! This weekend marks the ever popular 'tax-free holiday' here in Ohio. Be sure to stock up on qualifying items! 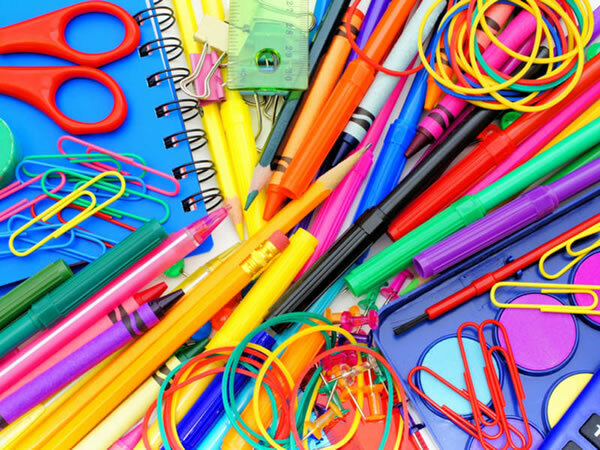 Check all of your school supplies off your list. Load your cart up with clothes, which is inclusive of coats, gloves, hats, ties and other clothing accessories. Even many baby items are part of the holiday, so stock up on baby clothes, diapers, and receiving blankets. For a specific list of what does and does not qualify for the tax-free holiday, visit tax.ohio.gov. Consider the types of fruits and vegetables that are in season when you head to the grocery store this month. Some of these include blueberries, cherries, strawberries, tomatoes, corn, bell peppers, cucumbers and zuchinni. If you shop these items in August, you can feel good that you've gotten good quality produce at some of their best prices of the year. This time of year, there will be a push to move the summer items off the racks to make room for colder weather clothing. Take advantage of the end of season sales on summer clothes, sandal shoes and swim suits. If you visit your local home improvement or furniture store this month, you may start to notice prices starting to drop on patio furniture and outdoor equipment, such as lawn mowers. Just like summer clothing, the time to sell these outdoor items is running out for retailers, so they are likely to begin to adjust their prices accordingly. August is the time of year when college kids will begin to prepare to head back to campus. There are likely to be sales focused around these dorm-dwellers, which includes great deals on bedding. Even if you are not a college kid, still take advantage of these sales if it's time for your linens to be upgraded. When you are finished shopping, consider doing some of the most popular home maintenance projects of the season. Some of these include: (1) getting organized indoors, (2) deep cleaning your carpets and floors, (3) trimming and tidying up the landscape, especially around your air conditioner, and (4) cleaning out the garage. For any heating or cooling needs you have this month, give our fast, friendly team a call!